It’s interesting that you bring up needing to read and compare it to a drug fix. I’m convinced that some sort of special chemicals are released in my brain when I read. Are there studies somewhere? I just read how people who have haircuts experience some sort of chemical surge,so why not reading? You mean like running does for people who run a lot? I don’t know if it’s been proved but it makes perfect sense to me. It’s hard not to be busy with a husband, two kids and a full time executive job. Most of the time it’s perfectly manageable and I enjoy every part of the schedule. It’s just that with “back to school” time, everything is more intense. It’ll get better in a month or so. The children enjoyed Disneyland but we adults didn’t that much. It’s strange to see people who’d honk at you if you start 15s too late at a traffic light wait in line, patiently like sheep to climb on Space Mountain. I’m also still puzzled by the abundance of adults wearing Mickey or Minnie ears in the park. Like Romain Gary used to say, if ridicule could kill, humanity would have died a long time ago. I like Gogol, I want to read Dead Souls one of these days. I think, to answer Guy’s question, that there is a study about this but I’ve forgotten the author. I held it in my hands. I suppose I know how you feel although this type of busy has never happened to me. I took care that it won’t, I wouldn’t be able to handle it and not so much for the reading deprivation only. You still managed to write quite a few blog posts in a short time. This doesn’t really sound like a Capote story. After I read your review I had to go back and make sure you were not writing abozt Steinbeck. I’ve read that Gogol but I cannot remember it so well. I don’t handle it very well either. I couldn’t work long hours on a long period of time. I don’t have it in me and one complain from a child is enough to bring me home at a reasonable hour. The blog posts of the beginning of the month correspond to books I read in August and none of them are very profound. September’s posts are rather short and I can feel the rush when I reread them. Didn’t you hear it when you read them? I’ve never read anything by Capote so far but I have Breakfast at Tiffany’s at home.It’s not on the right side of the continent for Steinbeck but yes, in a way it relates to The Red Pony. Yes, I felt it in the one or the other occasion. I still don’t know how you cope. Last year was such a horrible strain for me and I’ve still not recovered completely. I hope your company is understanding. I have a great husband and my company is human friendly. Mon seuil de tolérance est assez bas, en fait. I really sympathize with the extreme filled schedule and the need to cram things like reading in. I have taken to getting up at 4 AM on some says to squeeze everything in. Ah! that’s why you’re commenting on weird hours for your timeline! I thought you were on business trips or something. And Brian, thanks for taking the time to read my blog. Truman Capote’s “childhood souvenirs” – at least the ones I’ve read – seem like they’d be excellent choices for a quick literary fix. And somehow, Euro-Disney seems like the perfect place to read Gogol. Congratulations on surviving that experience, which so far I’ve managed to farm out to other adult chaperones as regards my goddaughters’ visits there (a distance of 10,000 km makes for a fine excuse). Bon courage et bon chance avec La Rentrée! Yes, Euro-Disney is a great place to read Gogol or La Cantatrice Chauve or Ubu Roi. Thanks for the encouragement. In France, La Rentrée also means La Rentrée littéraire (I’m still looking for a way to translate this concept in English, help me if you can), so we hear about literature too. I heard there are some good new releases. For the past two years I’ve toyed with doing a post on La Rentrée littéraire, as there’s nothing quite like it in the States: a period when all the publishers put out their new releases to coincide with everyone coming back from their months-long Euro-vacations (why they don’t do this before les vacances is one of those French peculiarities I’ve never quite been able to get my head around, and your pronouncement of stress about having no time to read only augments my befuddlement). I haven’t had a peek at this year’s harvest, but I will soon. I was thinking about doing one myself. You convinced me to do it, it’s very French, as I suspected it. The timing is probably due to the Goncourt. And before the holidays, the newspapers advertise “beach & public transport” books. Anyway – on to Capote and Gogol. 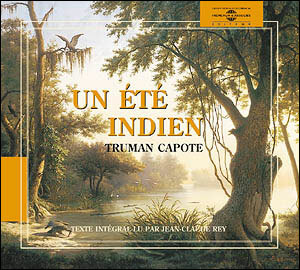 I haven’t read much of Capote, but I do have a volume of his collected short stories, so I’ll look up the one you mention. As for Gogol, I have been reading him ever since I became hooked on the Russians in my teenage years, but I must admit I have never quite come to terms with his work. I find his fictional world grotesque, and, although often very funny, have never found much warmth in his humour. Perhaps there isn’t any. Akaky Akaievich is certainly a pitiable figure, but I get the strangest feeling that, despite his sufferings, Gogol was laughing *at* him. 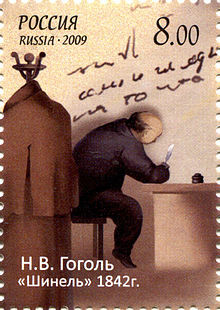 Maybe I’m wrong – but as I said, I’ve never really understood Gogol. I wouldn’t say I’m lazy but sure I’m a bit contemplative and I need these moments. It must be strange when a child leaves home. I know the feeling, Emma. Right now I’m lucky enough to have a period of calm, when I have time for reading and writing and blogging and everything else I want to do. But I’ve had times when I was so busy and couldn’t keep up with everything. Good for you for making some humour out of it! I loved Gogol’s The Overcoat! Really felt for poor Akaky Akakievich. I remember it as being more sad than funny, although I suppose there is humour in the satirical elements. Dead Souls was really good, although I read it so long ago now that I can’t remember too much about it. Hope things ease up a bit for you! My favorite writer taught me how to make fun of uncomfortable situations. See, literature and books can change your life. I undertook what (in Australia) is called a ‘seachange’ or ‘treechange’ and took an easier job, nearer to where I live – I don’t regret it (although that may change when my girls get old enough to go to expensive schools!). I suppose that you mean you decided to get a job with less salary but more free time. Those don’t exist in my line of work. If I found a part time job (very rare because I’m in competition with men who mostly don’t go for part time jobs), I’d end up with the same workload, a part time salary and more stress. The equation isn’t good. Another good recommendation for Dead Souls. Definitely on the reading list. But I need to read Charge d’âme by Gary just after. I have that feeling these books are related.